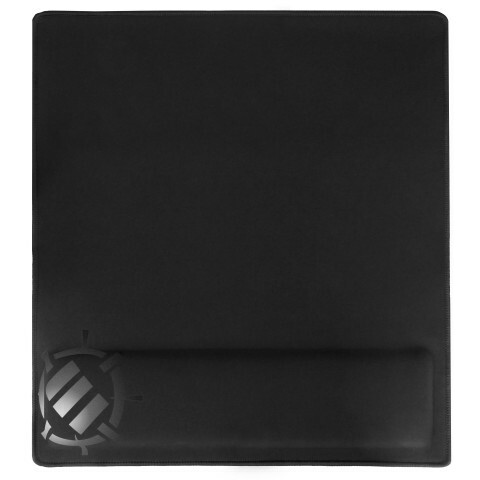 Keep the game going for longer with the new ENHANCE Gaming mouse pad with wrist support. 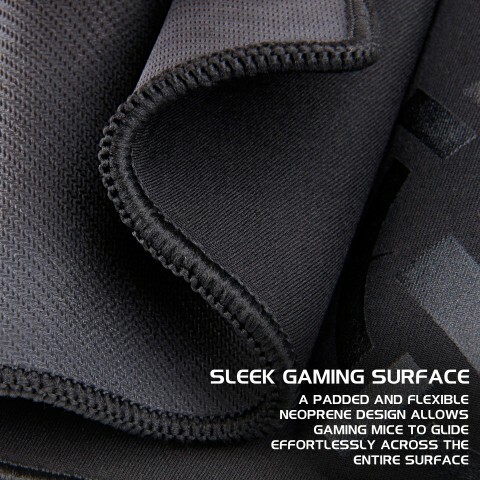 With an expansive neoprene fabric surface and a built-in memory foam wrist pad, ENHANCE is the ideal choice for gamers of all levels from casual to competitive. 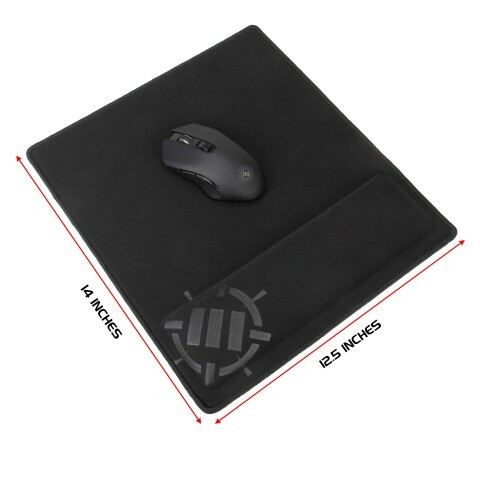 Measuring at 12.6 x 14 inches, the mouse mat is over 100% larger than standard sized mouse pads. However, the simple rectangular design fits easily into most gaming desk setups and fits perfectly on work desks without looking out of place. 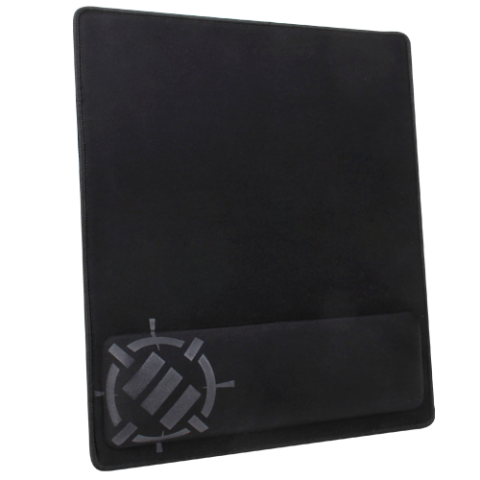 The textured rubber backside of the pad prevents unwanted movement during intense gaming sessions, and works on practically any desk surface including wood, glass, metal, plastic, and more. The edges of the pad are sewn with a high quality stitching that keeps the integrity of the pad even after extensive daily use. 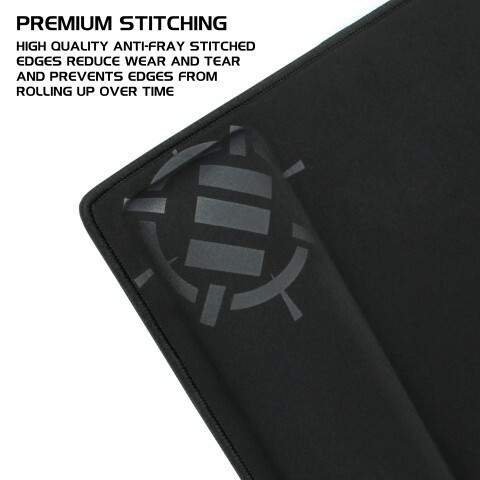 The stitching ensures that the edges do not roll up like other pads, and extends the lifetime of the mat. 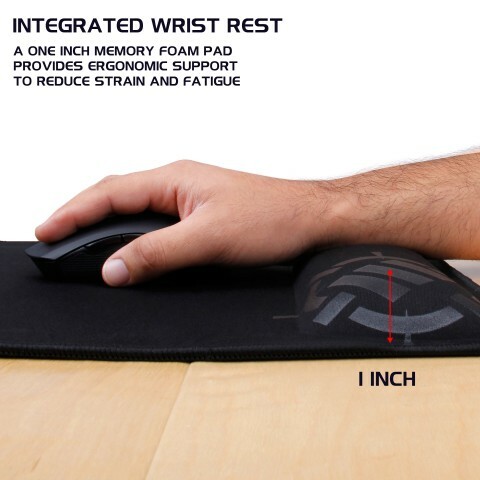 The integrated wrist support is a 1 inch memory foam pad that keeps your wrist at a neutral angle, eliminating wrist strain and pain. 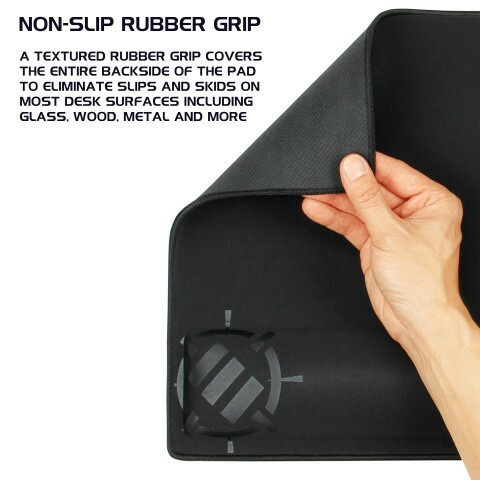 The memory foam is firm yet provides a bit of give to cushion your wrist while ensuring it stays upright. Some pads offer support that is either too hard or too soft, both of which will cause problems to your wrist. 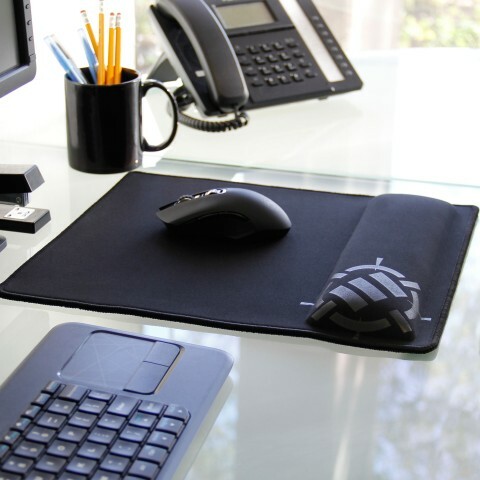 Our wrist pad is the perfect middle ground, offering both support and comfort.